In today's Agent Insights post, Loren Coburn shares his effective 365 real estate marketing strategy. Some refer to winter months as the “slow season” in real estate - but I strongly disagree. Cold weather is not an excuse to stop selling. In fact, fall and winter provide an opportunity for better negotiations. People are still buying – and if you’re not willing to work, you’re missing out. Should I cut back on marketing spend in the winter? A lot of agents have adopted the practice of either substantially cutting back on real estate marketing spend or putting their marketing on hold in the cold weather months – but this is old hat. To be successful, (especially in the age of the Internet), you need to be consistent and keep your marketing going all year. Cutting back on lead generation and nurturing can kill progress you’ve made with existing leads in your pipeline and halt your forward momentum. If you decide to do it anyway, you will quickly realize you can’t just pick up where you left off when January rolls around - the negative repercussions will follow you in to next year. Instead, you should be using the winter months to front-load your lead pipeline for the beginning of the following year. Now, if you really, really, really want to put your marketing on pause, that’s okay, because it means more leads for me! What Causes Winter Marketing Woes? In order to avoid this pitfall, I strongly suggest you prioritize your marketing budget like you do your car payment. Effective budgeting is absolutely critical in maintaining a consistent marketing strategy. Continuing to spend on lead generation in lower lead volume months can also provide money savings. Taking advantage of supply and demand in the “slow season” means less competition and lower cost per lead. Working with leads in the winter months also gives you an opportunity to get your client a better deal. I often end up closing deals that sell for less than the asking price and I typically am able to negotiate more from sellers than I can in during busy season. For tax purposes, sellers are anxious to get their home sold before the end of the year, which creates more wiggle room. On the flip side, buyers are motivated because they want to be settled by the start of the new year. Even home builders offer more incentive to get homes sold so they can take on new projects in the spring. Take advantage of this winning formula! A great marketing campaign takes time to produce results – you have to be in it for the long-term. To be effective - don't focus on brief campaigns – plan out your strategy for the entire year. Then, be consistent in your execution. Once you’ve developed a system that works, you can tweak it and add to it to make your next year even bigger and better. If you're not marketing in the winter months, you should. If you want to have a more successful year than last year, you need to start in the fall and winter of the previous year. Build your business 365 days a year – don’t give other agents the opportunity to swoop in and take your opportunities. 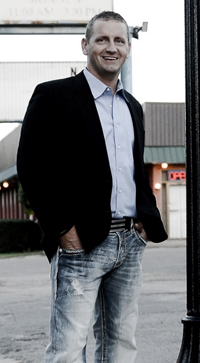 Loren Coburn has a background in new home construction and has turned his working knowledge of the real estate industry into a massively successful career as an Associate Broker in Oklahoma. To learn more about Loren, connect with him on Facebook or visit his website. Like this post? Check out our free 37 page Agent Insights eBook!